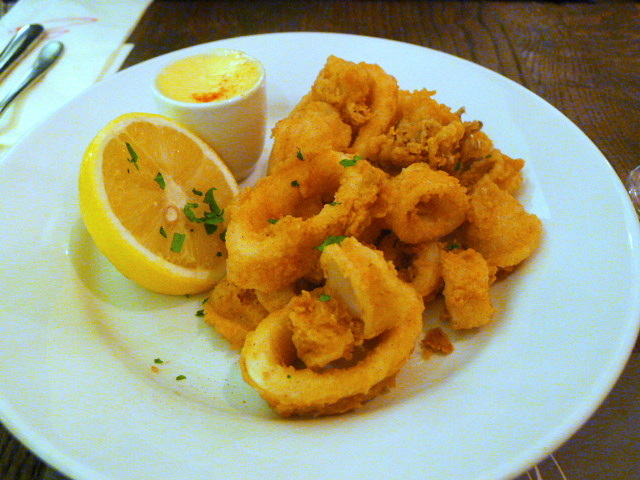 Fried calamari with lemon & garlic mayonnaise (£8.95) was also decent, but again under seasoned. The batter was crispy, but a touch too thick. Chargrilled tuna steak with marinated tomato, avocado and red onion salsa (£13.95) was cooked to the requested medium rare. It was tasty, but the accompanying salsa was a too sharp and harsh against the tuna and therefore did not work. Yes Sophie’s is a steakhouse, so it might perplex you that I would order something other than steak. But I was having flashbacks of the divinely glorious lobster roll at Hawksmoor Seven Dials (available from their bar menu) when I chose the whole Canadian lobster and avocado club (£21.95). Served with smoked back bacon, iceberg lettuce, tomato & lemon mayonnaise on a brioche, I was hoping for something just as resplendent. 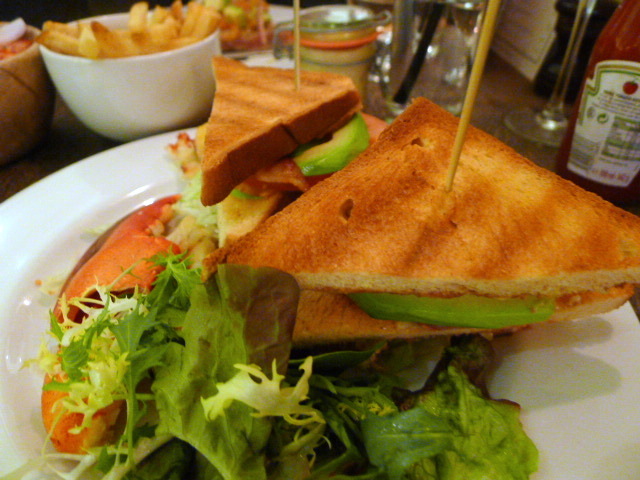 Instead I was aghast to find that this lobster club was awful, hideous in fact. The lobster was dry, tasteless and had crusted over from overexposure to air. The lobster should never been served and made one wonder about the quality controls in the kitchen. The avocado was also hard and inedible. The only tasty aspect of this dish was the brioche, which on its own was not worth paying £21.95 for. Dark chocolate fudge brownie (£6.25) was by far the best part of meal. 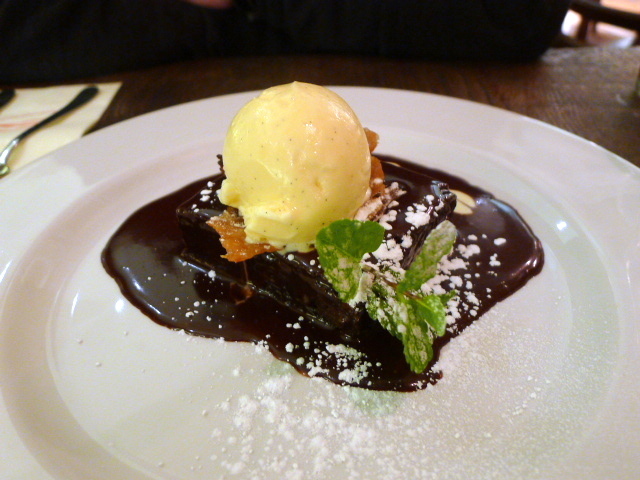 Served with ice cream and chocolate sauce, the brownie was gooey, warm and delicious. My protests over the poor quality of my main did not go unheeded which was pleasing to see from a service perspective. I received a comp voucher from Sophie’s which I went back to use, unannounced. This time I tried the steak. An evening experience proved to be slightly less hectic. 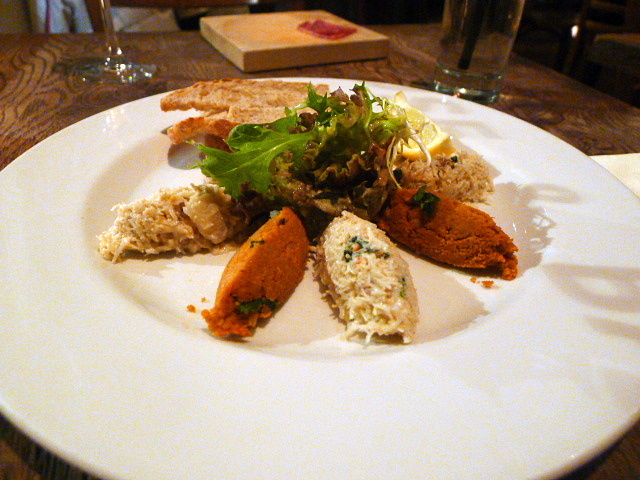 This time around I kicked off with a dressed crab salad with coriander, mayonnaise and sourdough toast (£8.95) which was decent but unspectacular. The coriander was undetectable in the salad. The waiter managed to tempt me with what was listed on the specials menu as a ‘10oz rare breed sirloin’ – which breed I know not as the waiter couldn’t tell me. The flavour of this sirloin was truly good – deep, unctuous and robust. But given that the steak cost £32, it was also surprisingly chewy in parts. It was also under seasoned and under cooked (rare rather than my requested medium rare), which left the middle of the meat slightly cold. If you ask me, bad steak cooking is bit of a cardinal sin at a steak house. Second time around, and Sophie’s again failed to impress. There were too many school boy errors which suggested a lack of attention to detail. Sophie’s Steakhouse feels soulless. It’s run as a business venture rather than a restaurant which wants to provide diners with a good eating experience. It’s not cheap either. Before you know it, you could easily blow £50 for a very average starter, steak and drink experience. 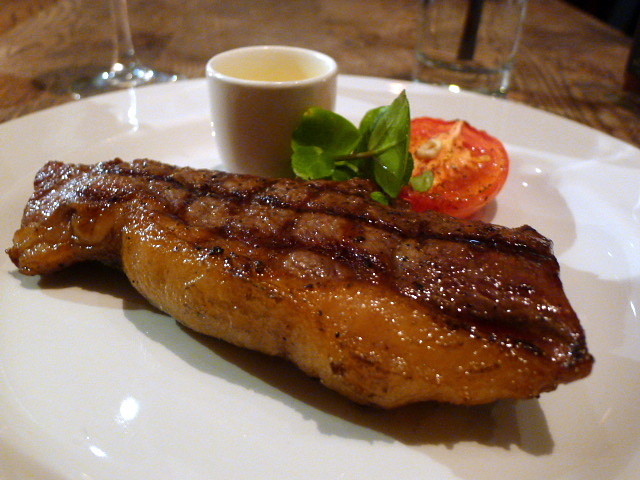 If its steak you are hankering after, you are better off going to the Hawksmoor. 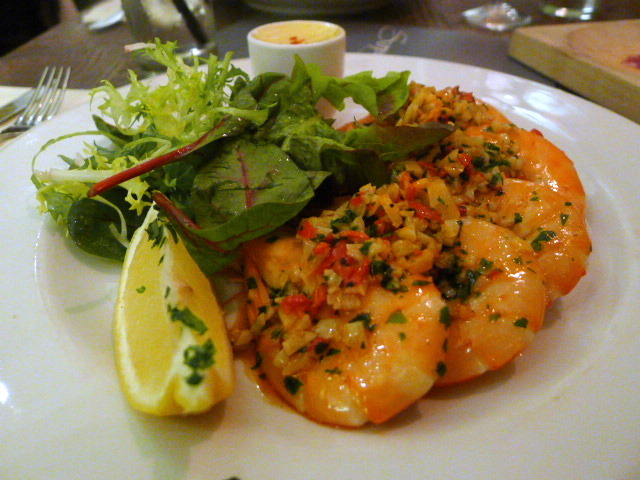 Price range: £24 – £61 for three courses. Excludes drinks and service.